One lovely Sunday in June Mel, Linds and I decided to discuss the secrets of the Heinz ketchup bottle at Edward Levesque’s Kitchen in Leslieville. As you walk in, the front half of the restaurant is dominated by it’s open concept kitchen which great because you get to see what’s cooking. The staff are very friendly and offer up hellos the minute you come in the door. Most of the seating is further back – downside: you don’t get much light in the back of the restaurant. This restaurant didn’t really have any standouts in terms of the main meals. 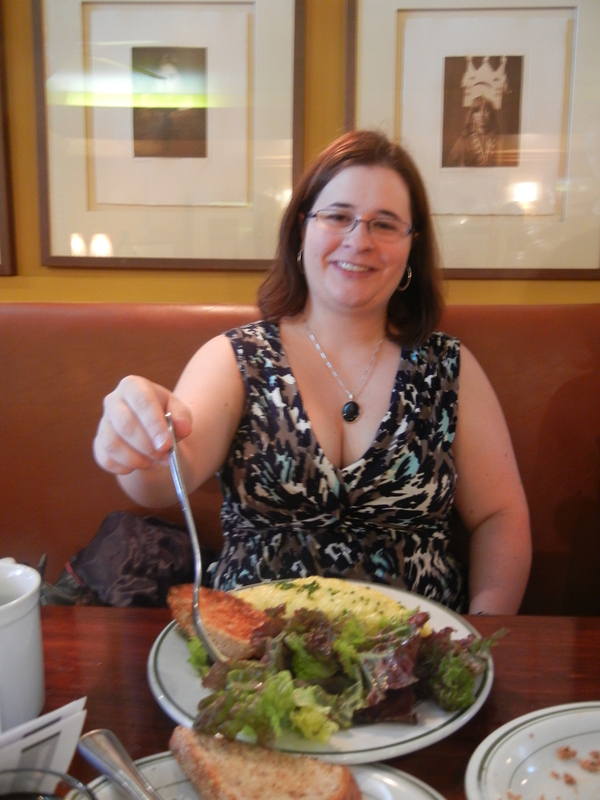 Lindsay had the Salmon omelette, which had good portions of salmon. While she did heartily reply that her omelette was ‘Tasty!” she did mention that the sour cream in the dish drowned the eggs a bit. Mel went for the avocado and bacon omelette while I went for the special tomato and shrimp omelette. 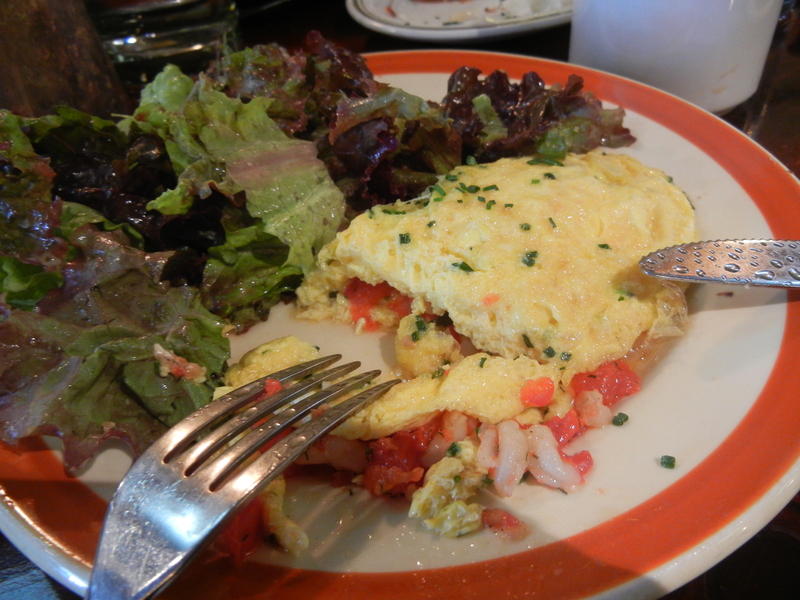 The shrimp and tomato filling was very good but I usually like the omelette filling to be better incorporated into my omelette. The egg bit of my omelette itself was a bit under seasoned, and very bland tasting. We were mostly impressed by their latkes which are made from scratch and are not oily. They serve them with sour cream and interestingly apple butter instead of apple sauce. It was really a nice flavour to have with the latkes. Overall, we did enjoy the service and the latkes but found that the main meals weren’t anything to write home about. The area is really nice, even did a bit of shopping indulgence and bought myself a new green dress which I promptly wore to the ballet that afternoon with my sister. Nothing like a good afternoon matinee after a Sunday brunch. I have been kicking myself ever since I missed the first production of Chroma by the National Ballet so I made sure I wouldn’t miss again! The ballet was wonderful – glad I got the last-minute tickets. It reminded me of just how many awesome arts shows we have available in Toronto – Right at our fingertips! If you’ve never been to the ballet, you need to go! The Four Seasons centre is great: the lobby area is spacious and inviting with lots of open air and windows floor to ceiling. In the theatre you really can’t go wrong with any seat you choose even up in the nose bleeds. They always have interesting things going on like galas, talks from some of the National Ballet directors or artists in residence, and awesome community projects like the Tutu Project. Overall, not a bad way to spend a Sunday in June! 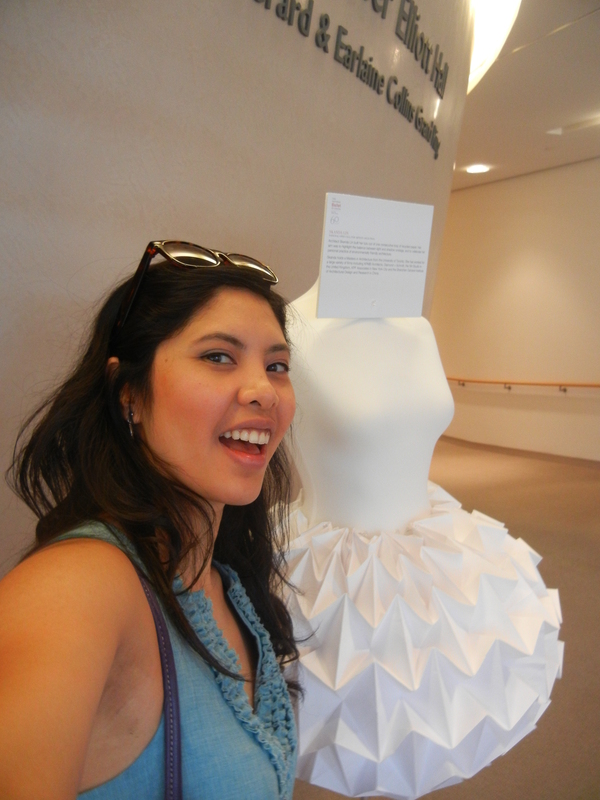 Tutu Project and me in my new green dress! Previous PostBacon for Dessert? Hells Yes! Next PostDinner is Served… Now with Waffles!